'Deborah Dances' (Bernice Miller by O. David Niswonger, R. 2001). TB, 34" (86 cm), Midseason bloom and rebloom. Yellow, falls with lighter central area; beards yellow; slight fragrance. Parentage unknown. 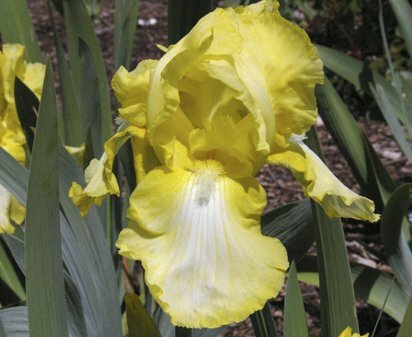 Cape Iris 1999.